How can I save on my electric bill? 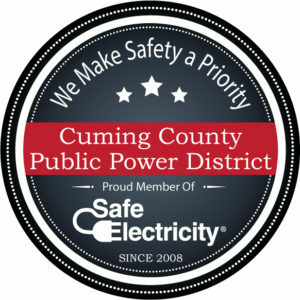 Cuming County Public Power District was created in 1936 to enhance the lives of people in the area. 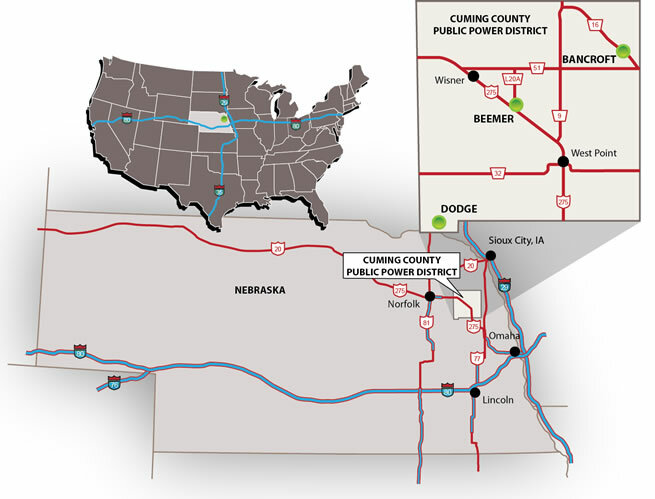 Though the District has come a long way since the first lines were energized in 1938, we are still enhancing the lives of our customers today, by providing electricity. 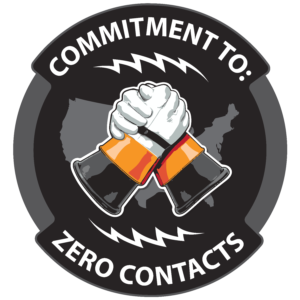 Today the District provides non-profit retail electrical energy to nearly 4,000 meters. Customers include the rural areas in and around Cuming County and the Villages of Bancroft, Beemer and Dodge.